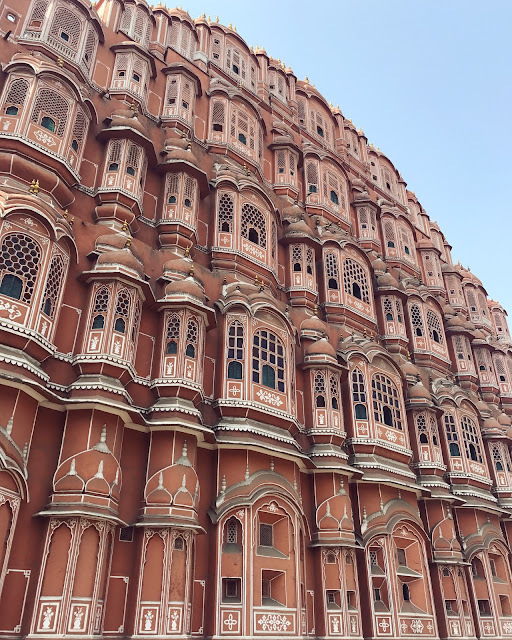 Ah, India – to mentally prepare for arriving in a country so fantastically diverse, bright, loud, beautiful and intimidating is almost impossible. but I found planning was the only thing that stopped me going in to full what the f**k are we doing? mode. I was nervous to leave my job and our flat in Tooting (would I ever find a place with two bathrooms for decent rent again?!) to live out of backpack, take trains, sleep in questionable bedsheets and wash my knickers in a sink. I'm not good at the unknown. I needed to visualise and absorb as much information as possible to calm myself down. I found making spreadsheets, Word docs, Pinterest boards and reading blogs helped. The information stuck with me and I found it really helpful to know what to expect throughout our trip. If you're thinking about travelling around India and you're nervous, I hope reading this list can help you. The staring is intense in India and there will be times when you feel uncomfortable, but generally it's not meant to intimidate you. This is one of the most important tips I picked up and I used it a few times to reassure myself. It's not considered rude for a man to have a good, long look into your face when sitting next to you on the train or for a group of children to gather round you with their mouths wide open in fascination. If you look a bit different or you're a blonde girl, expect it to be worse. Having blonde hair, blue eyes and pale skin meant I got a lot of looks. You'll be able to sense if the person staring is friendly, if you want to avoid eye contact that's fine but if you say hello to some nice women or children you'll be greeted with beautiful smiles and hysterical giggles. A lady we met in Kerala summed up Indian driving perfectly; it's like an orchestra. Everyone is doing something different – they're speeding, overtaking and honking their horn constantly – and it seems crazy but when it all happens together, somehow it works. We might have just been lucky but we only had a couple of scary moments (one involving a cow on the motorway) but if you're worried you can always ask a taxi/tuk tuk driver to slow down. I'm just as guilty as the next guy for posting travel pictures to Instagram and not telling the whole story. One example is the one above of dusky pink Hawa Mahal (Palace of the Winds) in Jaipur. What you can't see is three boys laughing and closely circling us while we looked a bit helpless because we'd heard it was a pick-pocketing hotspot. Plus the constant shouts of "madame, tuk tuk?" coming from the loud road. Be aware that there's no such thing as a perfect picture in India, that's it's charm! There is always mayhem behind the camera. Charred, fresh naan breads, tangy channa masala, rich cashew nut curry and creamy kormas... the list could go on and on. 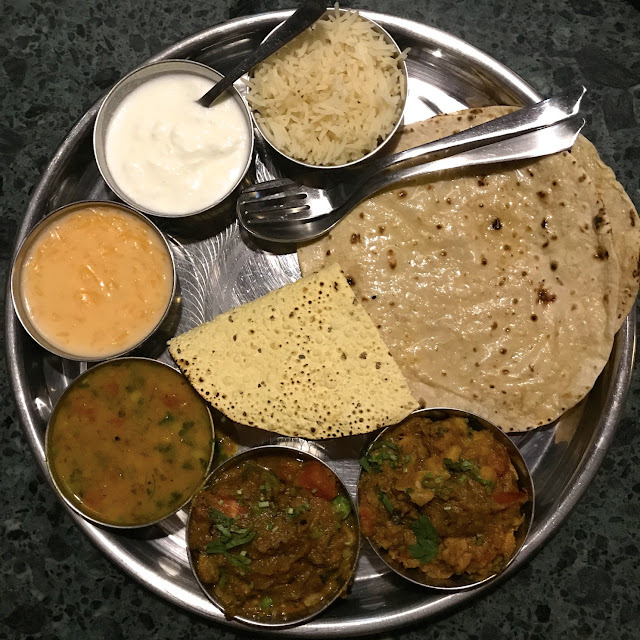 The food is mind-blowingly good, especially in Rajasthan where you can get a delicious vegetarian thali for only 150 rupees. Oh and the dal! Before going to India I thought dal was dull but after our first day in Delhi I realised how complex the flavours can be in such a humble lentil dish. My mouth is watering just remember it all. People are going to try to scam you in India, you might as well come to terms with that now! The key is being confident enough to stand your ground when you know something isn't right. When we tried to walk in to a restaurant in Delhi a man standing in front of the door told us "we're not open now, try that place instead." He wasn't anything to do with the restaurant we were going to, and it was open. Luckily we'd read about this scam so we laughed and walked right in. If anyone ever tells you your train, bus, hotel or taxi company is no longer running, has been burnt down or something similar don't listen and persevere. Try to have a sense of humour about it, laugh it off and move on... if you don't do that occasionally India is going to drive you insane. I never expected myself to say this but I did get used to them! I'm a clean freak and have been known to wash everything at home including the light switches with antibac spray so if I can do it, you can do it. 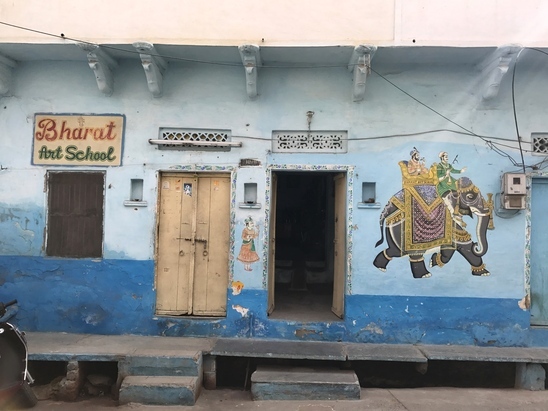 Of course there were some horror stories (a cafe in Udaipur and one roadside hotel being some of the worst) but once I knew what to expect it didn't bother me as much. My top tip is always use the Indian toilets, they're much cleaner than Western ones... just remember to take your own loo paper! In a country that's bursting at the seams with people, animals, cars, shacks, noises and roads there is going to be death and you might see it. Unlike Western society it isn't something to hide away from, instead it's accepted as part of being alive. "If you live, of course you will die" is what our guide told me in Varanasi, a holy city where the dead are burnt on pyres by the Ganges. Don't be shocked to see a family walking past you holding a body wrapped in white sheet or legs poking out of a fire. Be respectful and put your camera away. Brightly coloured, crumbling cities in Rajasthan, incredible food and the spiritual vibe which you can feel everywhere is what got me hooked. For you, maybe it will be the rich history or stunning treks. I promise there will be something about magical India which will leave you wanting more. Everywhere you look in Rajasthan, there's something colourful. I loved this wall in Udaipur.